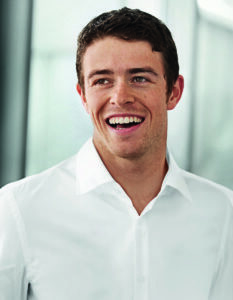 United Autosports have confirmed that Paul di Resta will join the team for the 2018 running of the Rolex 24 at Daytona in January. Di Resta will race the United Autosports Ligier JS P217 alongside their current European Le Mans Series racer, Will Owen with their co-drivers still to be announced. United Autosports will be running two Ligier JS P217 sports prototypes in the 56th running of the Rolex 24 at Daytona with Lando Norris and Phil Hanson also confirmed to race for the team. The Rolex 24 at Daytona takes place every January at the Daytona International Speedway in Florida. The race acts as the first round of the IMSA WeatherTech SportsCar Championship. For the 2018 running, the official test – the ROAR before the 24 – will be held on 5-7 January, with the Rolex 24 at Daytona begins on 27 January. He said that he would be prepared to race at Le Mans and hinted towards Daytona. The other names for the Rolex 24 are Lando Norris and Phil Hanson who is the reigning Asian Le Mans Series LMP3 Champion. He is also being touted as an entry for Le Mans. Phil already has experience of the Ligier JS P217, having contested a part season in the 2017 ELMS, the 2017 Le Mans 24 Hours and selected World Endurance Championship rounds. Earlier this year, at 17-years-old, Phil became the youngest driver to finish in the top-10 at the Le Mans 24 Hours. 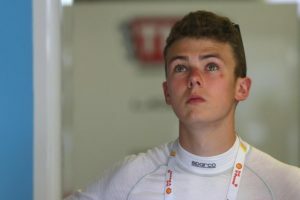 Phil will race alongside Lando Norris in one of the team’s Daytona 24 Hours entries in January, with their third team mate to be revealed soon. Phil’s co-driver for the 2018 ELMS season will also be announced in the coming weeks. This news confirms that United Autosports will move to running two Ligier JS P217s in 2018, having made their debut in the LMP2 class earlier this year. They took their first LMP2 win in their maiden race at Silverstone in April, following that with a further win at Red Bull Ring in July. They entered the Le Mans 24 Hours for the first time in June, finishing in fifth place overall, fourth in the LMP2 class. “I’m very excited to be racing for reigning European Le Mans Series champions United Autosports next year. The Rolex 24 at Daytona will be my first race in America. Racing at Daytona is a very exhilarating way to start my 2018 season, as it is one of the most famous races in the world. I can’t wait to get going.” Phil said.